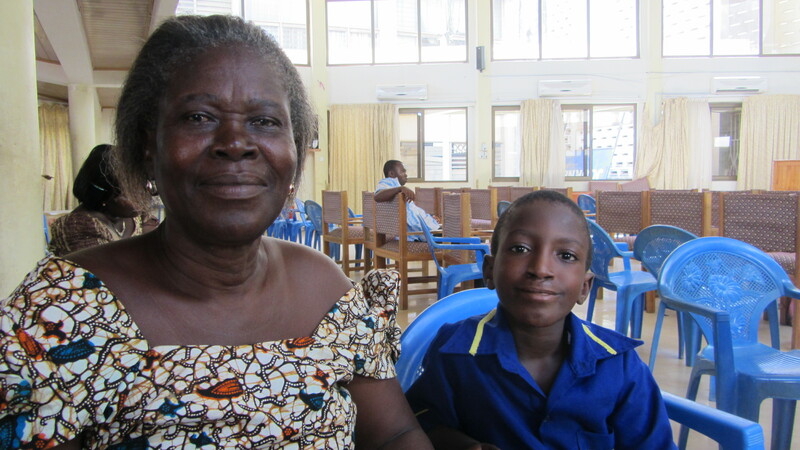 Update: In November, Transforming Faces visited our project in Ghana. The TF team went on a field outreach visit to Cape Coast with a small team of two nurses, a speech therapist, and a resident surgeon. We first met Paa Kwasi in early 2012 and we were lucky to meet him again during an outreach trip in Ghana. Paa visited the outreach clinic due to a small fistula, or opening, that had developed on his palate. He first received care at 4 months at Korle-Bu Teaching Hospital in Accra and had three surgeries before he was one year old. It is currently difficult for the family to attend treatment because Paa’s grandfather is blind and his grandmother is the sole income earner. His grandmother says her goal in travelling to receive care for Paa was so that he could have friends. She hopes he grows up to be a soccer star one day.